Larger-than-life, celebrity leaders who ride in from the outside are negatively correlated with taking a company from good to great. Ten of eleven good-to-great CEOs came from inside the company, whereas the comparison companies tried outside CEOs six times more often. • We found no systematic pattern linking specific forms of executive compensation to the process of going from good to great. The idea that the structure of executive compensation is a key driver in corporate performance is simply not supported by the data. • Strategy per se did not separate the good-to-great companies from the comparison companies. Both sets of companies had well-defined strategies, and there is no evidence that the good-to-great companies spent more time on long-range strategic planning than the comparison companies. 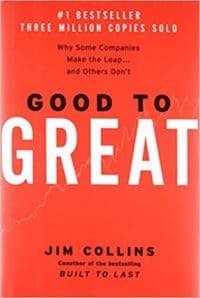 • The good-to-great companies did not focus principally on what to do to become great; they focused equally on what not to do and what to stop doing. • Technology and technology-driven change have virtually nothing to do with igniting a transformation from good to great. Technology can accelerate a transformation, but technology cannot cause a transformation. • Mergers and acquisitions play virtually no role in igniting a transformation from good to great; two big mediocrities joined together never make one great company. • The good-to-great companies paid scant attention to managing change, motivating people, or creating alignment. Under the right conditions, the problems of commitment, alignment, motivation, and change largely melt away. • The good-to-great companies had no name, tagline, launch event, or program to signify their transformations. Indeed, some reported being unaware of the magnitude of the transformation at the time; only later, in retrospect, did it become clear. 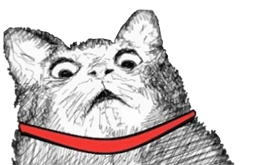 Yes, they produced a truly revolutionary leap in results, but not by a revolutionary process. • The good-to-great companies were not, by and large, in great industries, and some were in terrible industries. In no case do we have a company that just happened to be sitting on the nose cone of a rocket when it took off? Greatness is not a function of circumstance. Greatness, it turns out, is largely a matter of conscious choice. First Who … Then What. We expected that good-to-great leaders would begin by setting a new vision and strategy. We found instead that they first got the right people on the bus, the wrong people off the bus, and the right people in the right seats—and then they figured out where to drive it. The old adage “People are your most important asset” turns out to be wrong. People are not your most important asset. The right people are. A Culture of Discipline. All companies have a culture, some companies have discipline, but few companies have a culture of discipline. When you have disciplined people, you don’t need hierarchy. When you have disciplined thought, you don’t need bureaucracy. When you have disciplined action, you don’t need excessive controls. When you combine a culture of discipline with an ethic of entrepreneurship, you get the magical alchemy of great performance. Similarly, every time we attribute everything to “Leadership,” we’re no different from people in the 1500s. We’re simply admitting our ignorance. Not that we should become leadership atheists (leadership does matter), but every time we throw our hands up in frustration—reverting back to “Well, the answer must be Leadership!”—we prevent ourselves from gaining deeper, more scientific understanding of what makes great companies tick. In contrast to the very I-centric style of the comparison leaders, we were struck by how the good-to-great leaders didn’t talk about themselves. During interviews with the good-to-great leaders, they’d talk about the company and the contributions of other executives as long as we’d like but would deflect discussion about their own contributions. Ten out of eleven good-to-great CEOs came from inside the company, three of them by family inheritance. The comparison companies turned to outsiders with six times greater frequency—yet they failed to produce sustained great results. We found no systematic pattern linking executive compensation to the process of going from good to great. The evidence simply does not support the idea that the specific structure of executive compensation acts as a key lever in taking a company from good to great. If you have the right executives on the bus, they will do everything within their power to build a great company, not because of what they will “get” for it, but because they simply cannot imagine settling for anything less. Their moral code requires building excellence for its own sake, and you’re no more likely to change that with a compensation package than you’re likely to affect whether they breathe. Those who build great companies understand that the ultimate throttle on growth for any great company is not markets, or technology, or competition, or products. It is one thing above all others: the ability to get and keep enough of the right people. Letting the wrong people hang around is unfair to all the right people, as they inevitably find themselves compensating for the inadequacies of the wrong people. Worse, it can drive away the best people. Strong performers are intrinsically motivated by performance, and when they see their efforts impeded by carrying extra weight, they eventually become frustrated. Waiting too long before acting is equally unfair to the people who need to get off the bus. For every minute you allow a person to continue holding a seat when you know that person will not make it in the end, you’re stealing a portion of his life, time that he could spend finding a better place where he could flourish. Your point about “getting the right people on the bus” as compared to other companies is dead on. There is one corollary that is also important. I spent a lot of time thinking and talking about who sits where on the bus. I called it “putting square pegs in square holes and round pegs in round holes.”… Instead of firing honest and able people who are not performing well, it is important to try to move them once or even two or three times to other positions where they might blossom.